The former NBA player will get soon his Russian passport and he will be able to make his season debut. 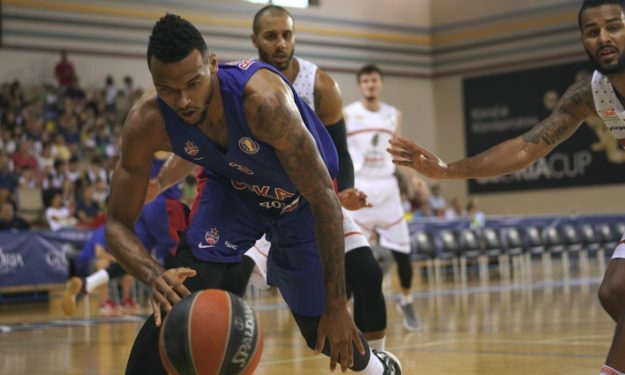 CSKA Moscow became even stronger this morning with the addition of Joel Bolomboy to the active roster of the team since he got the Russian citizenship. According to the press release of the club: “Vladimir Putin, the President of the Russian Federation, signed the decree to confer the Russian nationality to our team’s player Joel Bolomboy. The Army Team center was born in Donetsk, Ukraine, his mother Tatiana is Russian, father Joseph is an immigrant from the Republic of Congo. In the upcoming days, the process of obtaining the passport will be finalized, and Joel will be registered in the EuroLeague and VTB United League. Andrey Vatutin, CSKA President, said: “We are glad that the process of obtaining the Russian citizenship by Joel is over, now he will be able to play for the club and Russian National Team which is important because we have a deficit of quality big men in the country. I would like to thank everyone who took part in Bolomboy’s fate – the nation’s leaders, Pavel Kolobkov, the Minister of Sports, Andrey Kirilenko, the Russian Basketball Federation President, everyone involved in the process”. Joel Bolomboy himself added: “I am really excited to obtain Russian citizenship and proud to become apart of a great country where my family is from. I want to thank the club’s president Andrey Vatutin and everyone else that played a role in making this happen. I will do my very best to represent Russia and CSKA in the best way possible”.